Kathmandu– Precipitation including snowfall has been taking place in most parts of the country due to the influence of the Westerly wind. The rain brought by the Westerly wind in the western part of the country since the day before yesterday has reached the central and eastern parts as well since last night, meteorologist Sameer Shrestha said. According to him, this trend will continue until tonight; and the precipitation that started since Tuesday night will continue in the evening on Wednesday also following brief respite towards the afternoon. The weather will be cloudy throughout the country including the Kathmandu Valley today with possibility of light to moderate rain in most of the places. The Meteorological Forecasting Division has stated that the high hills as Phulchoki and Chandragiri around the Kathmandu Valley received snowfall today. Similarly, snowfall is taking place in the high mountainous areas of the western part of the country. This weather system will prevail until tomorrow in the western parts of the country. It is said the precipitation that started from Tuesday will continue until some days more. Meteorologist Shrestha said that although this system will peter out for one day tomorrow it will again become active from Friday thereby triggering precipitation. Temperature will decrease increasing the cold as rainfall and snowfall is occurring in most parts of the country. The minimum temperature in Kathmandu had dropped to zero degree Celsius this year. 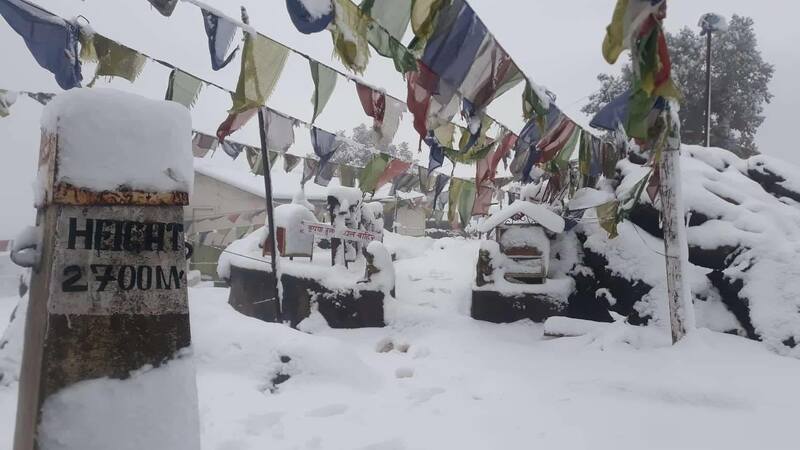 Shrestha however said that the temperature in the Valley will not drop below zero degree Celsius this year despite an increase in cold due to the rain. The precipitation in Kathmandu today was 8.1 millimetres.